My New Store is Open! My new online store is here! You can buy original art, prints, books and there are a bunch of new shirt designs. Check out this video for a quick intro or go ahead and dive in by clicking the Axe Bear below. 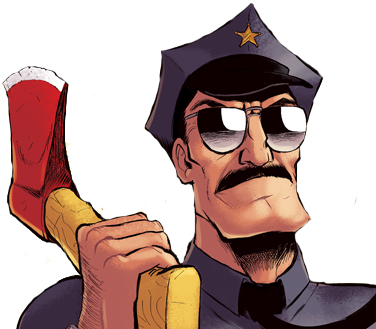 ← The perfect Christmas present for the Axe Cop fan in your life.